George Wentworth is a legend in Maine basketball. This Notre Dame graduate turned Stearns High School into a perennial champion and helped put Maine Basketball on the map with the 1963 New England Championship. George Wentworth created a comprehensive basketball program many years before it became common practice. 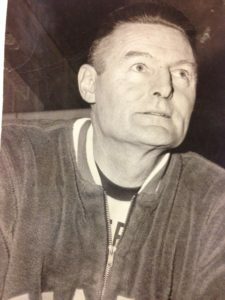 As a result, Stearns dominated Maine basketball for over twenty years, until his retirement in the early 70s.